New screenshots of the upcoming PSP game Dracula: Undead Awakening are now available for viewing here. Vampire mania may be sweeping the nation, but MoreGames Entertainment intends to bring Vampires back to their roots with this title. 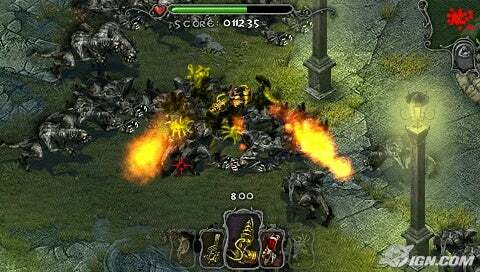 Undead Awakening is a shooter that will also offer RPG elements. A release date for the game has not yet been set.